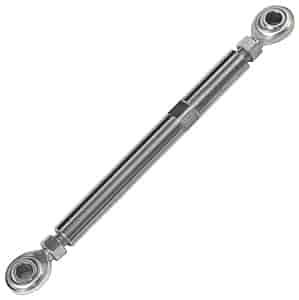 March Performance Adjustment Rod Minimum Span: 8"
The March Performance Adjustment Rods are universal and can be used just about anywhere. Usually found in March bracket and serpentine drive kits they include a stainless steel adjustment spacer and high performance rod ends with jam nuts. These assemblies are available in different lengths to fit your custom project!